EDINBURG — Edinburg Vela junior Daniel Enriquez has been playing football all his life. He thought his time to shine would come on the offensive side of the ball. Little did he know, he would become one of the most important players in every area of the game except offense. 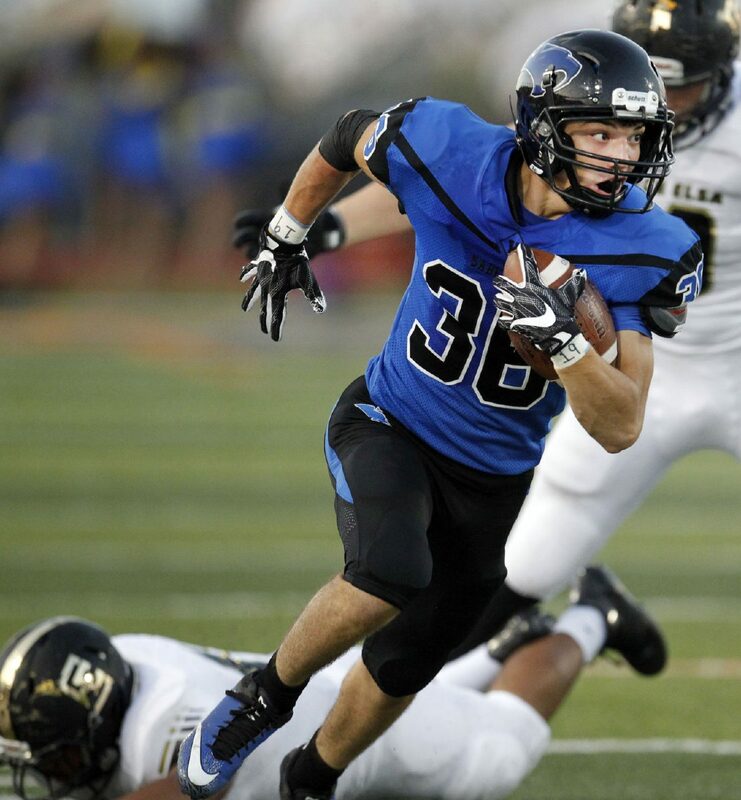 Vela’s secondary was a strong point all year, and while Daniel Enriquez and his brother, senior safety Nick Enriquez, were the headline makers of the bunch, Daniel Enriquez will be the first one to tell you how important everyone in the secondary was. 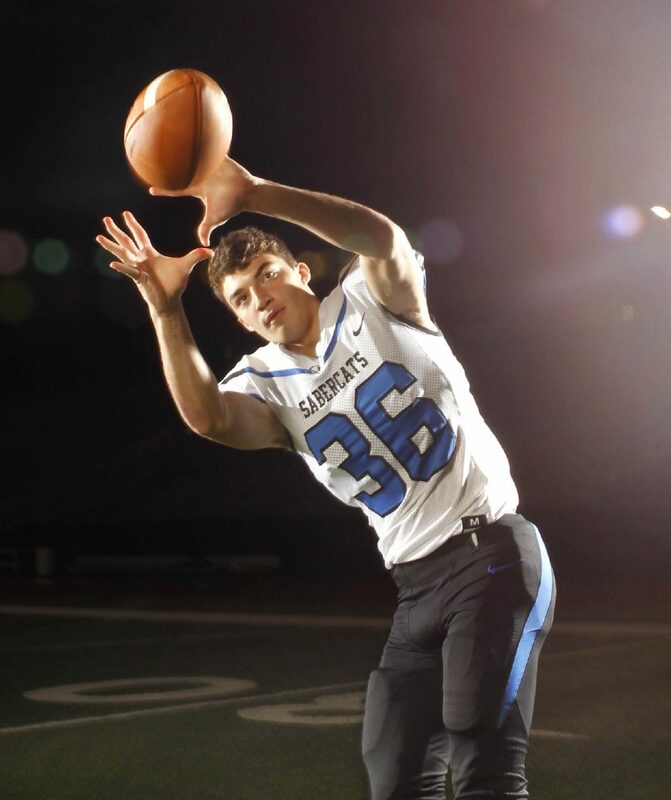 All-Area Football All-Purpose Player of the Year safety Daniel Enriquez of Edinburg Vela. Still, Daniel Enriquez was a standout among other supreme athletes. This year, he blocked four kicks, intercepted seven balls, returned three of those interceptions for touchdowns and recovered three fumbles. Yet, that is just a part of what he is capable of. For his all-around play and ability to change the game in so many different ways, Daniel Enriquez is The Monitor’s 2017 All-Area All-Purpose Player of the Year. Last year, it was Nick the older brother, who received All-State recognition, but in 2017, Daniel made it onto the All-State honorable mention list for his all-around play. Daniel Enriquez, Nick Enriquez and senior quarterback Nathan Garcia grew up with each other. They played with and against each other from Pee Wee football all the way to two of the three’s senior years. This season, Garcia has one lasting memory of Daniel Enriquez’s season. Against Brownsville Hanna in the bi-district round, Daniel Enriquez got the SaberCats on the board first with a 65-yard punt return touchdown. The Golden Eagles didn’t go away though, and the game remained close. With less than a minute left in the first half, Daniel Enriquez picked off sophomore quarterback Victor Campos and took the ball to the house. The score swung the momentum and set up a second half full of even more drama, including another kick blocked by Daniel Enriquez and a game-winning, record-setting 54-yard field goal from senior kicker Austin Garza to keep Vela’s perfect season alive. To start the year, the Vela coaches put together a chart for the defensive players. The chart had an intense algorithm that doled out points for different positive defensive plays, like a fumble caused or recovered. After such an exquisite season, it’s hard to imagine what 2018 will look like for Daniel Enriquez. But, he is already thinking about how to top 2017. And the super versatile safety is hoping he gets a taste of his former love: offense.